Satin Stripe Fitted Sheet Double 54 X 75 Whit.. Satin Stripe Quilt Cover S/King 102 X 86 Ivor.. Satin Stripe Fitted Sheet Double 54 X 75 Ivor.. Satin Stripe Fitted Sheet Kingsize 60 X 78 Iv.. Satin Stripe Fitted Sheet Kingsize 60 X 78 Wh.. Satin Stripe Fitted Sheet S/King 70 X 78 Ivor.. Satin Stripe Fitted Sheet S/King 70 X 78 Whit.. Satin Stripe Fitted Sheet Single 36 X 75 Ivor.. Satin Stripe Fitted Sheet Single 36 X 75 Whit.. Satin Stripe Flat Sheet Double 90 X 100 Ivory.. Satin Stripe Flat Sheet Double 90 X 100 White.. Satin Stripe Flat Sheet S/King 108 X 108 Ivor.. Satin Stripe Flat Sheet S/King 108 X 108 Whit.. Satin Stripe Flat Sheet Single 70 X 100 Ivory.. Satin Stripe Flat Sheet Single 70 X 100 White.. Satin Stripe Pillow Case Oxford Single White.. Satin Stripe Pillow Case Standard Pair White.. 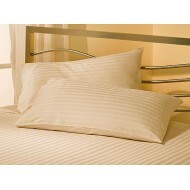 Satin Stripe Pillow Cases Oxford Single Ivory.. Satin Stripe Pillow Cases Standard Pair Ivory.. Satin Stripe Quilt Cover Double 78 X 78 Ivory.. Satin Stripe Quilt Cover Double 78 X 78 White.. Satin Stripe Quilt Cover Kingsize 90 X 86 Ivo.. Satin Stripe Quilt Cover Kingsize 90 X 86 Whi.. Satin Stripe Quilt Cover Single 54 X 78 Ivory..